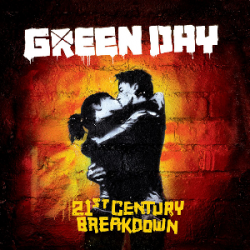 21st Century Breakdown is the eighth studio album by American punk rock band Green Day. It is the band's second rock opera, followingAmerican Idiot, and its first record to be produced by Butch Vig. The band commenced work on the record in January 2006. 45 songs were written by vocalist and guitarist Billie Joe Armstrong by October 2007, but the band members did not enter studio work with Vig until January 2008. The writing and recording process spanned three years and four California recording studios and was finished in April 2009. 21st Century Breakdown was released through Reprise Records on May 15, 2009. Armstrong has described the album as a "snapshot of the era in which we live as we question and try to make sense of the selfish manipulation going on around us, whether it be the government, religion, media or frankly any form of authority". The singles, "Know Your Enemy" and "21 Guns" exemplify the themes of alienation and politically-motivated anger present in the record.Critical response to 21st Century Breakdown was generally positive. Critics praising the album considered the composition and Armstrong's lyrics a success; skeptical reviewers were critical of the album's concept, describing it as vague and directionless. The record achieved Green Day's best chart performance to date by reaching number one on the album charts of various countries, including the United States Billboard 200, the European Top 100 Albums, and the United Kingdom Albums Chart. It was awarded the Grammy for Best Rock Album at the 52nd Grammy Awards held on January 31, 2010.